The perfect finishing element to a polished outfit. 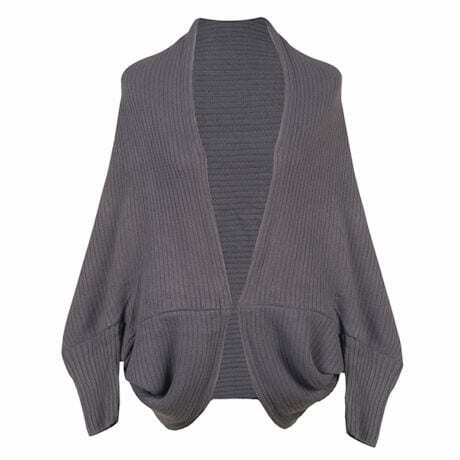 Blending comfort and easy-to-match color, the soft ribbed knit shrug is styled to layer without bulk. 100% acrylic. One size fits most; 17" x 52" (shoulder to shoulder). Hand wash. Imported. Specify Khaki, Gray, Blue, Red or Black.